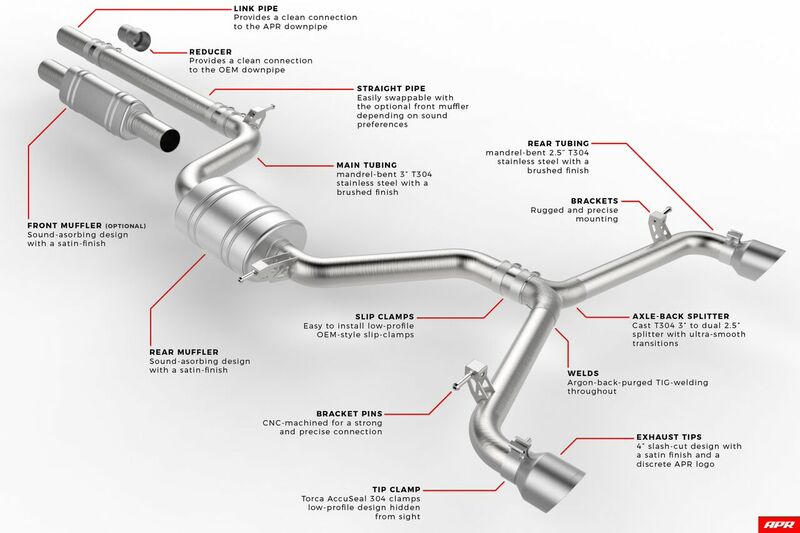 It’s hard to deny that there isn’t something very primal about fitting an aftermarket exhaust to your car, something to do with being both able to feel and hear the changes you’ve wrought! 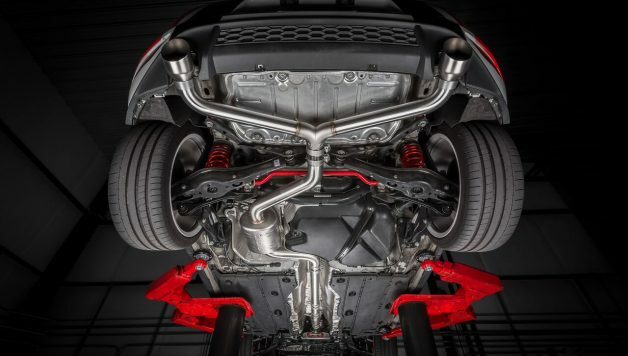 There are aftermarket exhausts and there are aftermarket exhausts though, and, to quote an advert for a well-known biscuit, you’ve got to go a long, long way to find a better exhaust than those designed, built and sold by APR. 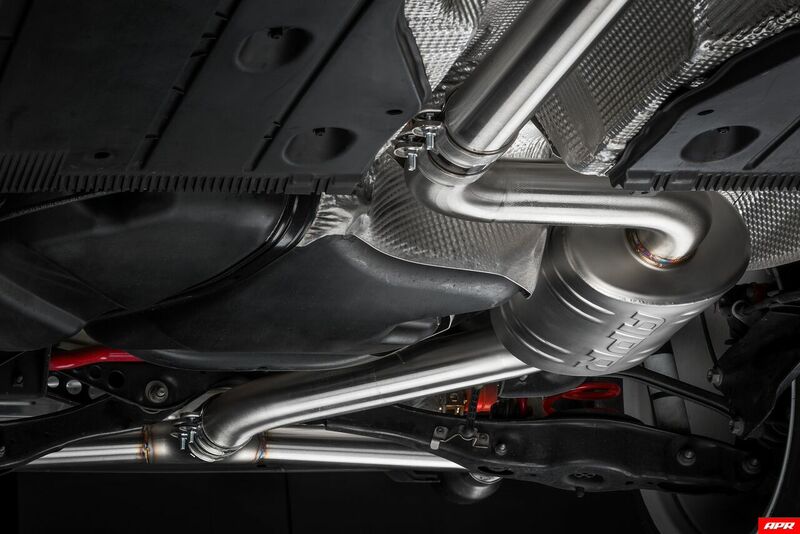 APR’s latest system has been developed for the seventh generation Golf GTI, and the cat-back exhaust can now be ordered via one of its largest UK distributors, Awesome GTI. 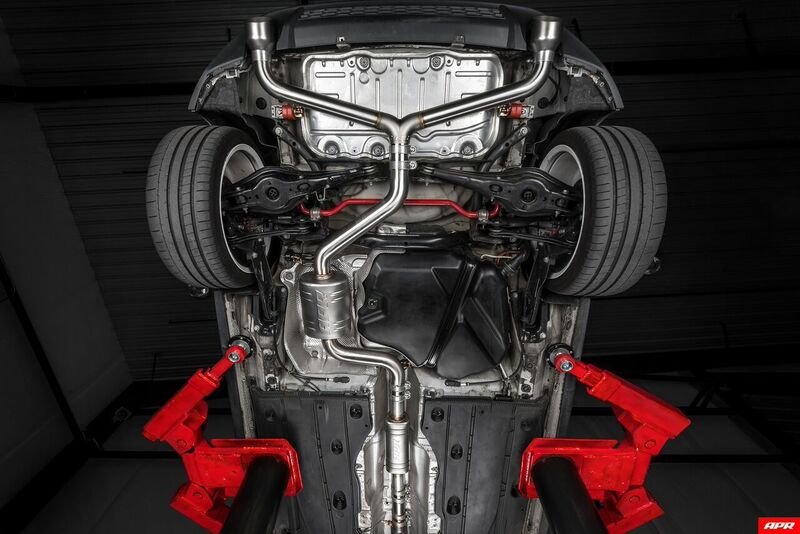 Improving upon a car as good ‘right out of the box’ as the Mk7 GTI has tested APR’s engineering team to the limit, but they’ve most certainly stepped up to the challenge. 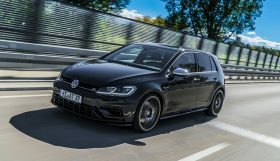 The result is one of the most complete aftermarket offerings available for the current Golf, and one which acts as a showcase for APR’s engineering prowess. 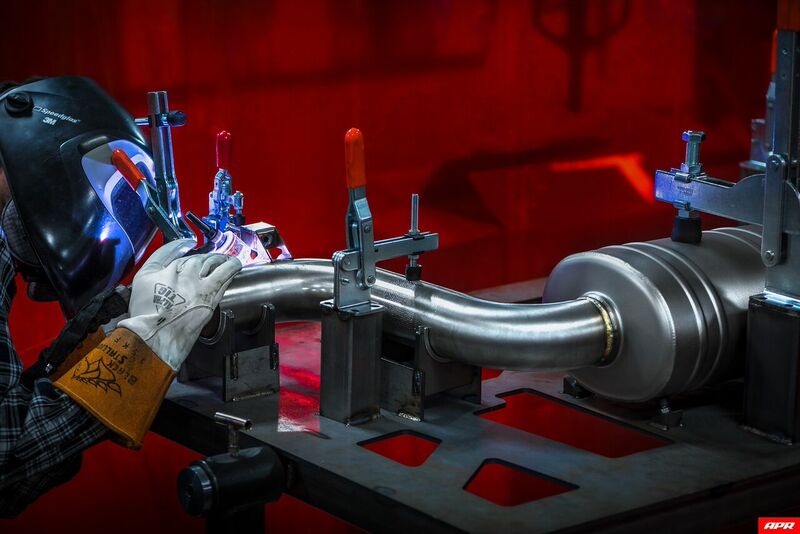 Made from beautifully hand crafted T304-stainless steel and stitched together by equally stunning TIG-welding, the single 3in to dual 2.5in mandrel bent exhaust is the ultimate upgrade for the ultimate hot hatch, one with proven gas-flow properties. A willingness to tailor its systems to meet the needs, demands and preferences of induvial customers has long been an APR hallmark, and its Golf GTI system continues the tradition. APR’s much vaunted satin-finished mufflers/boxes are fully configurable and can even be ordered with an optional easy-change centre section, which in turn allow customers a large degree of control over the level and character of sound generated by their exhaust. 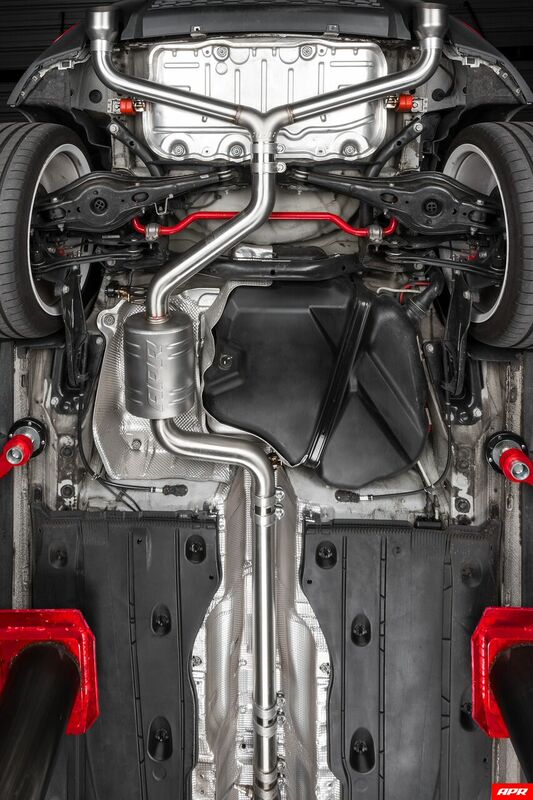 The removable, 4in satin-finished slash-cut exhaust tips aren’t merely the icing on the cake, they underscore this product’s competition roots and accentuate the performance pedigree of the GTI itself. 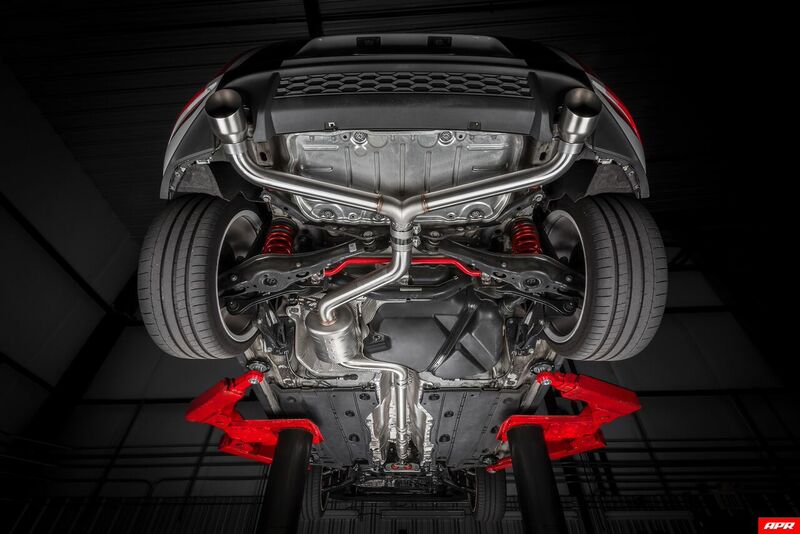 APR’s exhaust offerings have always majored on their performance enhancing potential, and its GTI system most certainly delivers in this respect, with extensive testing on the firm’s own development vehicle having shown improvements in horsepower and torque across the range. 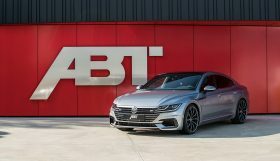 Better still, the high quality nature of the APR system means that it’s the ideal foundation stone for further power upgrades at a later point, meaning it has the potential to effectively ‘future proof’ the GTI. 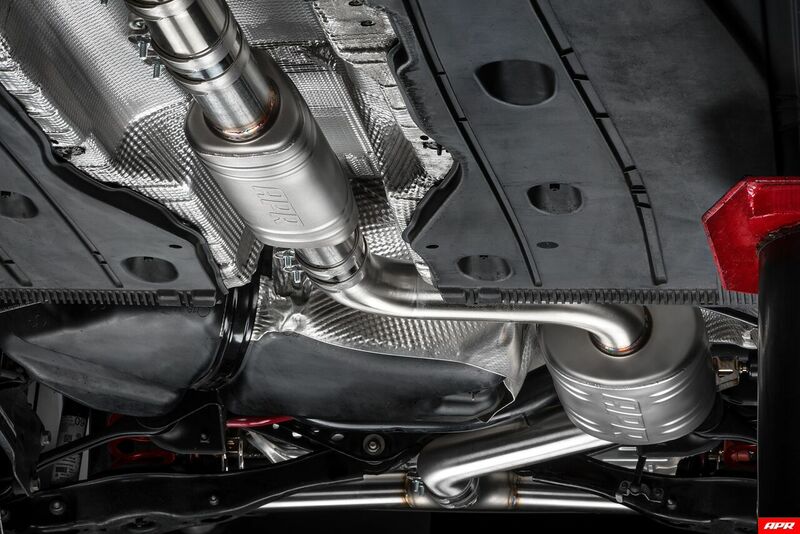 High levels of fit and finish come as standard with an APR product, hence why this Golf system boasts OEM style slip clamps and Torca AccuSeal T304 clamps for easy installation, not to mention a proven ability to mate right up to both OEM and APR Golf downpipes with the supplied link and reducer pipes. Not only does APR’s offering fit beautifully, enhance performance and both look and sound amazing, the high-end materials used in its construction ensure that it represents a notable weight saving over the stock equivalent. 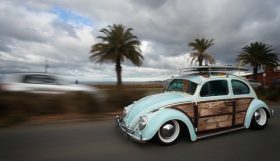 In fact, the system weighs 5lbs less overall, and 1lb less with the optional front box – and that’s despite it being significantly larger in diameter than the OEM VW part. Few aftermarket products come close to matching those of APR, and it really is no exaggeration to suggest that its Mk7 Golf GTI cat-back offering matches the levels of fit and finish of VW’s own product. Factor in the wealth of performance and sound benefits associated with its installation, and it becomes something of a no-brainer for any GTI owner seeking to personalise their car.